Vaporize your friends! Turn your phone into a Laser Gun! Download this high speed photon accelerator directly to your android device thanks to cutting edge micro fission technology! 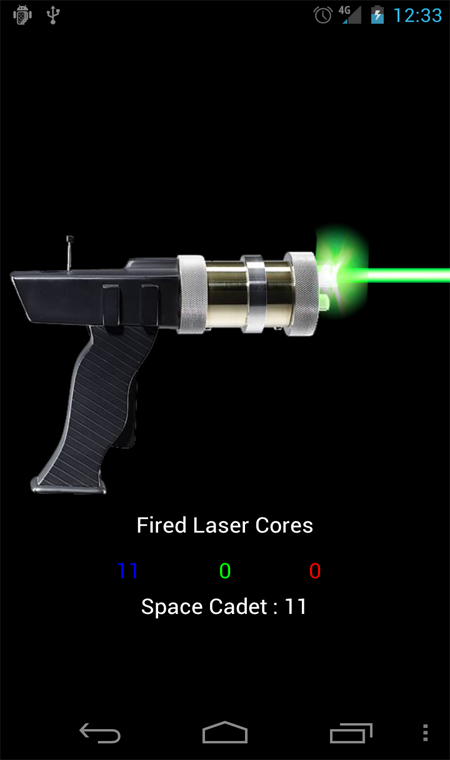 -Switch between different laser modes such as: Ion Beam, Death Ray, and Impulse Cannon -Add the widget to your android desktop! -Double tap for rapid fire -Battle With Your Friends For The Highest Score (Max Is Laser Master... Or Is It?) Download today before this technology falls into the wrong hands! Designed By Zach Nagengast. All Rights Reserved.